Set on a quiet, tree lined street, this four-unit building is surrounded by great shopping, local restaurants, and exciting night life. 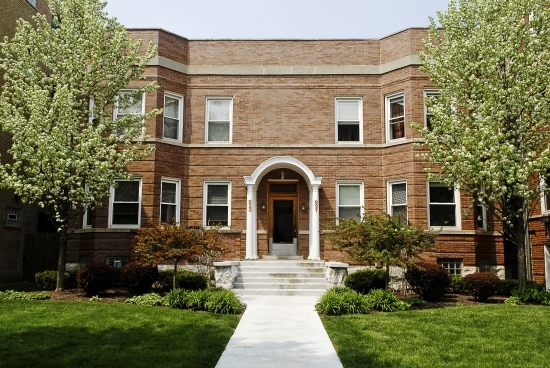 The property offers easy access to Evanston CTA, Metra train stations, and complimentary Northwestern University shuttle. Tenants enjoy outstanding amenities including an electric eye garage, fenced backyard and patio, secured entry, laundry facilities, and personal storage units. Each unit is equipped with tenant controlled air conditioning and heating systems, hardwood floors, updated kitchens, and enclosed back porches.